Silsila Badalte Rishton Ka is one of the long-running TV serials. as we all know that the serial Silsila Badalte Rishton Ka is one of the highest TRP rating show. In the previous episode when Mauli went out from the home to meet Ishan. Suddenly Kunal came at Mauli’s home to meet with her. To saw Kunal Mauli gets shocked. 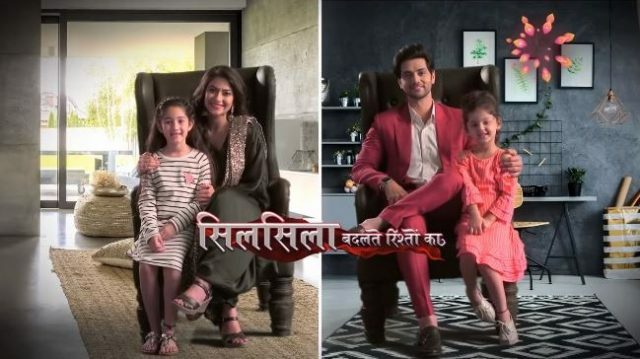 Silsila Badalte Rishton Ka 10th January 2019 written episode update begins with the accident of Mauli. A few people help her after she falls on the road and takes her to his house. Mauli, who is heartbroken tolds everything about what Kunal has done to her. By knowing everything Ishan gets very angry with Kunal. Ishan gets upset due to Mauli to leave his house at night and separating her from Mishti. Now that Mishti knows about Kunal’s plan to harmonize her mother and Popsi Ishan, she bonds with him by giving him a tight hug him when he comforts her. Kunal wants to make things alright soon as possible so that he is able to see his daughter Mishti happy. Kunal asks Pari and Mishti to sleep. They both did not ready to slip Mishti said to Kunal that she wants to play with Pari. To listen this Kunal said that it’s not the time to play. After this Mishti and Pari get to sleep. Kunal admires them. He promises Mishti that he will do all that things to see the smile on the face of her daughter. Ishan, who is soo much violated after seeing Mauli is in a helpless situation. Ishan reaches Kunal’s home and beats him up. He mistakes Kunal’s intentions and threatens to teach him a lesson for hurting Mauli. Though Kunal is get injured, rather be angry Kunal gets happy to know that Ishan is with Mauli. He feels that he has succeeded in his room.